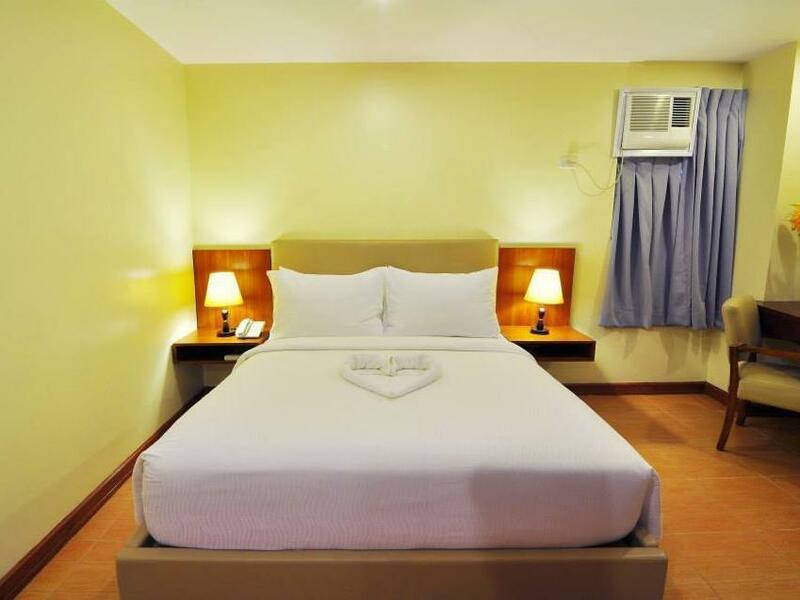 "Good internet connection, comfy bed, breakfast perfect for a..."
Have a question for The Well Hotel Inc? 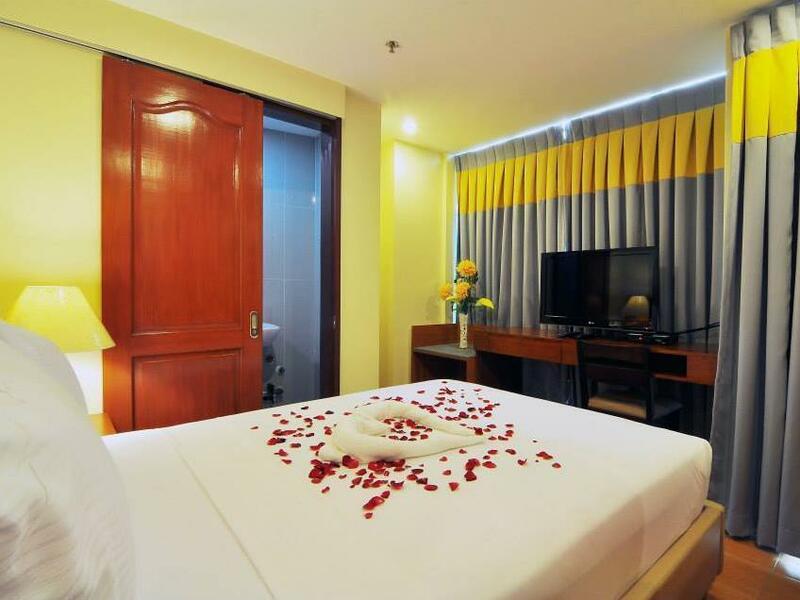 "Friendly staff, very clean rooms and cafe, modern design rooms, internet is strong." "This hotel is centrally located and value for money." 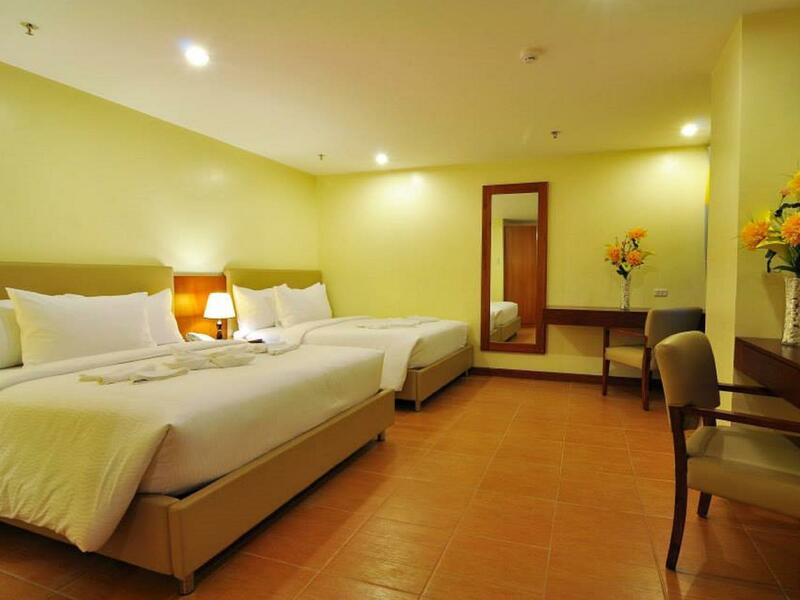 Well-positioned in Cebu City, The Well Hotel Inc is the ideal point of departure for your excursions in Cebu. The hotel lies 2.6 km from the city center and provides accessibility to important town facilities. For those of you who want to venture out, Visayas Community Medical Center, Central Bank of the Philippines Cebu, St Vincent General Hospital are just some of the attractions available to visitors. At The Well Hotel Inc, the excellent service and superior facilities make for an unforgettable stay. For the comfort and convenience of guests, the hotel offers free Wi-Fi in all rooms, 24-hour security, daily housekeeping, 24-hour front desk, express check-in/check-out. Step into one of 48 inviting rooms and escape the stresses of the day with a wide range of amenities such as television LCD/plasma screen, linens, towels, internet access – wireless (complimentary), non smoking rooms which can be found in some rooms. The hotel offers fantastic facilities, including massage, to help you unwind after an action-packed day in the city. 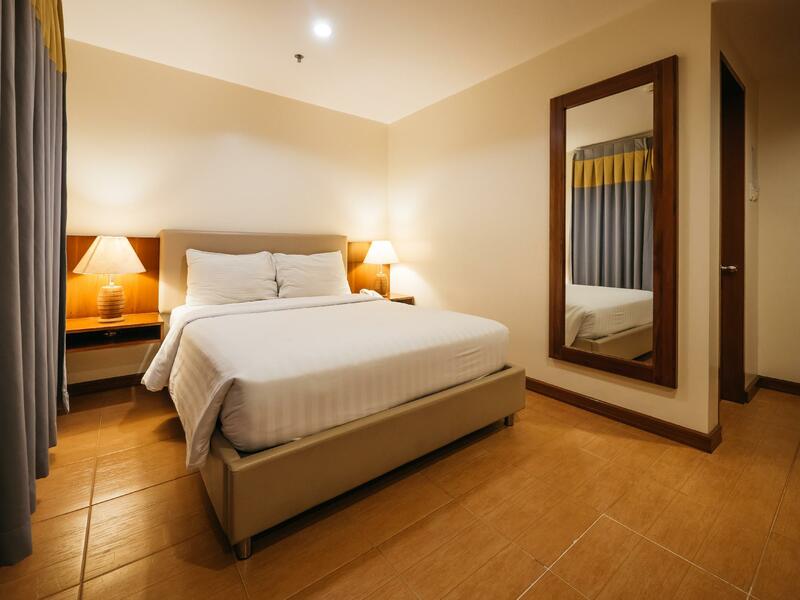 The Well Hotel Inc is your one-stop destination for quality hotel accommodations in Cebu. "Our stay was wonderful for the price we paid." We loved this hotel. The room itself was very nice and the bed was super comfortable. The shower had great pressure and heater. There were also amenities like shampoo, soap, towel, coffee, water, etc. The staff are very friendly and the free breakfast was good. I would definitely recommend this hotel. The staff was nice. Room was clean. Security was friendly. Problem with the elevator because it was hard to see the up or down button in broad day light (elevator is touch screen from the outside). Overall its a good place. And I like how the breakfast was simple but I could keep coming back. I definitely recommend the place! the staff in the hotel were very helpful in all aspects. Service is with quality and what we paid for was very much reasonable with the room's inclusion, food, location was very accesible. Though I must say the room was a bit small(standard veranda). But apart from that we were happy and pleased with our stay. Excellent stay! Internet Cafe few steps away (10php per hour), Robinson mall about 15 min walk. 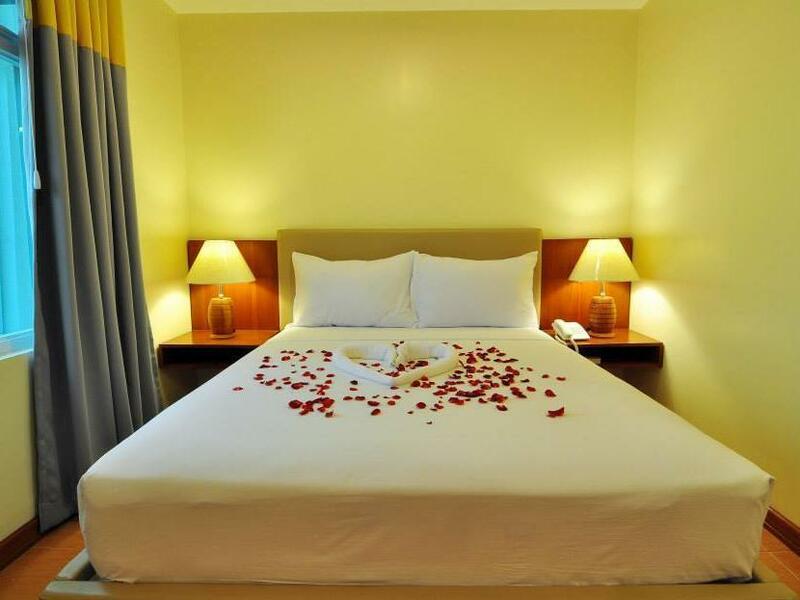 Comfortable room and great value!! Airport transfer should be about 200php with medium traffic... please take a white metered taxi from the airport! Taxi to ferry port is about 100php. Ramos St. is a busy area and it's safe to walk just about any time of day or night... On this street you'll find at least 3 spas (if you wish to save some $$ because hotel offers thai massage in room for more $$) Restaurants around this street are plenty too, but the deal is going to Robinson and perhaps getting a few articles at their market. Many choices to eat at Robinson, but it closes at 9pm... Make sure you get here before. Need to exchange money? Best exchange rate offered is located on the third floor of Robinson. Check it out! This hotel is about one year old, and rooms are still fresh. Basic, but all ameneties are there and work well, except that a bit better waterpressure could be an improvement. Staff are well trained and courteus in an non-intrusive way, they dont miss a beat and perform way outv of their 3 star league. Breakfast is basic, but fresh and buffet style, so you wont have to leave hungry. Don't be late though, they will clear it 9.30. Sharp. All in all a very good value, I'll be happy to stay here again! Good internet connection, comfy bed, breakfast perfect for average people. Over All, my Family LOVED IT. Thank you WELL, you very WELL took care of your guest. Upon arrival , the room I reserved was changed to a small two twin bed room. To get 1 bed. ( as I requested) was additional charge. When I wanted to just cancel, they said I would still be charged. The room was small , needs updated. There were no towels in the room and I had to request 3 times to get,. The room was extremely noisy and I head all the outside sounds such as dogs barking, people yelling, cars, and rosters in the morning. The breakfast was not good and little service. Overall negative experience. This hotel is centrally located and value for money. New and clean hotel. Our stay was wonderful for the price we paid. Breakfast is good. One thing we haven't check was the shower heater, it didnt work. Well Hotel carries its name always. It provide us a place to stay that is convenient and affordable. The staff are friendly..
Its near the famous casa verde of cebu, near south bus terminal and there is also a church nearby. Its just that their staff are not that well versed in giving directions. my stay was good. Staff are very friendly and food is good. Since it is a new hotel, the room's been and everything are very clean. Internet connection is fast enough for me to do my stuffs. I will recommend this hotel to my friends. The hotel was new but sparsely decorated. We requested extra bed for one of the rooms that we booked and we were given a lumpy, low and uncomfortable bed. Need to improve breakfast. But the location was near to everything though you need to specify the street to the taxis since its a new place. Near Casa Verde, Crowne Regency, Taboan Market, Ayala Mall, Mango Ave etc. The hotel's facilities are very new. I don't expect much in this hotel considering what I paid for but this place is properly maintained and kept clean. Great place if you're on a budget and wanting a quiet, relaxing, clean, affordable room to stay. The room we booked was clean and tidy. It was worth what we paid. The hotel location was very accessible. Filipino breakfast was awesome. I checked in late around 3:00 pm. When we came into the room, it was tidy and clean. The hotel surroundings were clean, not noisy. We ate our breakfast already late but there were still food. Typical Filipino food was awesome. I would recommend this hotel to my friends. And definitely, I will come back. 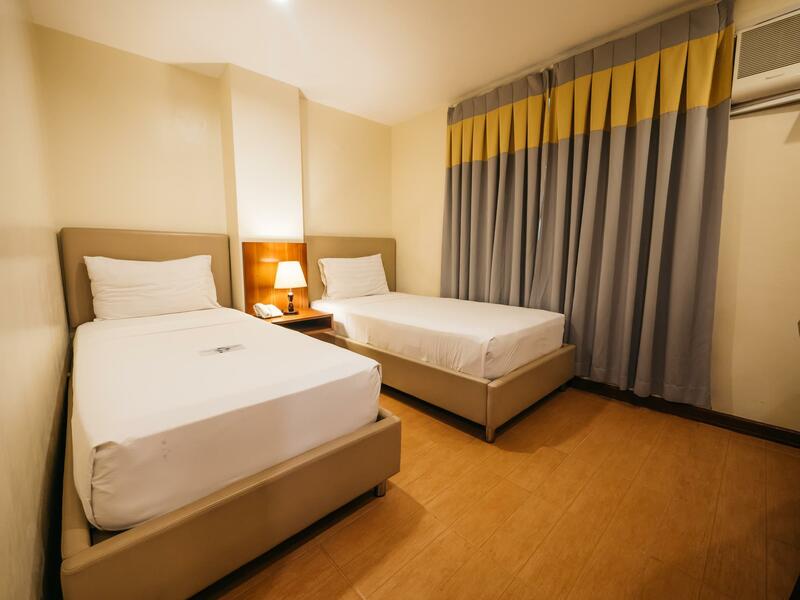 very clean, breakfast that does not leave you hungry, located close to the center of the city, very much accessible to transportation: taxi or jeepney. Well Hotel is a new hotel, with facilities that we really need like elevator, comfortable bed, very clean mattress and pillows. We stayed in a standard double occupancy room equipped with modern tv, small terrace, refrigerator and provided us with free distilled water every day. The personnel were friendly, helpful and were attentive to our needs. We highly recommend Well Hotel to our friends in Europe and we will always stay here every time we visit Cebu.